On October 20, Halton Region hosted its second job fair in 2015 at the Burlington Convention Centre, where more than 500 job seekers met with over 50 local employers from a diverse range of industries including technology, government, manufacturing, retail, hospitality and healthcare. Attendees had the opportunity to network, meet hiring managers and take advantage of a professional résumé and cover letter review service. The job fair also provided an opportunity to promote Youth Job Connection, an exciting new partnership with the Ontario Ministry of Training, Colleges and Universities designed to enhance the skills of youth who experience multiple barriers to employment. Youth Job Connection provides intensive, paid training and job placement support to eligible youth between 15 and 29 who are not working, in school or training. Under this program, Employment Halton assists participants to prepare for, find and retain suitable jobs. The program offers pre-employment training, coaching, and job placements with employers who demonstrate an intention to hire the participant after the program placement ends. Through events and programs such as the job fair and Youth Job Connection – as well as youth programs through our Small Business Centre – Halton continues to demonstrate its commitment to help all residents obtain meaningful employment. Our commitment to connecting employers and job seekers helps maintain Halton’s low unemployment rate and ensures that our youth get the essential skills, training and experience they need to be successful. For information about the services offered by Employment Halton, visit halton.ca/employmenthalton, haltonjobs.ca or dial 311. To learn more about youth programs offered through Halton Region’s Small Business Centre, please visit halton.ca/smallbusiness. Entrepreneurship plays an integral role in innovation, job creation and economic growth. With small businesses contributing an increasing amount to Halton’s strong economy, Regional Council is committed to supporting small businesses and entrepreneurs as they establish themselves and expand. One way that we support entrepreneurship in the Region is through our youth entrepreneurship programs including Summer Company. Every year, Halton Region works with the Ontario Government to provide support to student entrepreneurs between the ages of 15 and 29 to help them start and run their own business through the Summer Company program. Successful applicants receive hands-on business training and mentoring and can receive up to $3,000 in funding to help them get their business off the ground. Programs like Summer Company provide the next generation of entrepreneurs with the necessary training, mentorship and support that can help put them in a position to succeed. The Region’s strong economy relies on people with a resilient entrepreneurial spirit. We are committed to developing and supporting our local small businesses and those who are considering becoming an entrepreneur. Whether you’re thinking about opening a business, formulating your business plan, expanding an established small business or looking for youth entrepreneurship programs, the Halton Region Small Business Centre is here to help. For more information about the Halton Region Small Business Centre please visit www.haltonsmallbusiness.ca or dial 311. You can also follow the Halton Region Small Business Centre on Twitter at @HaltonEcDev, on Facebook and on WordPress. Earlier this month I had the pleasure of meeting with this year’s cla ss of Summer Company students. 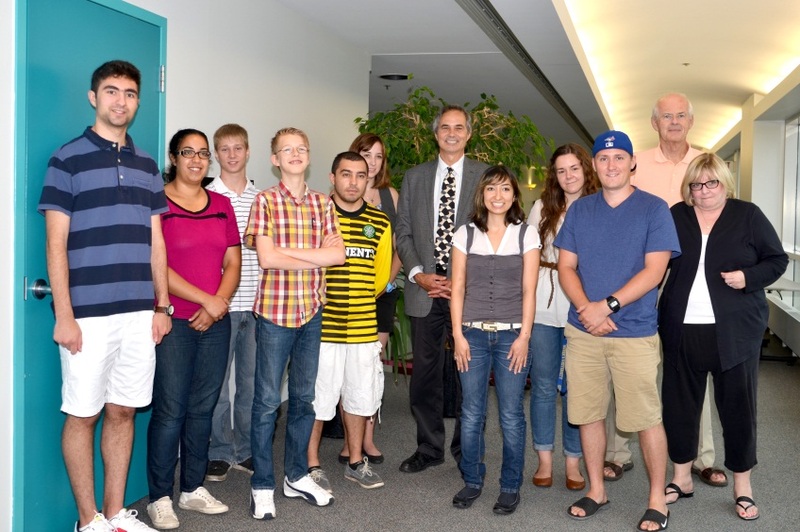 Summer Company, a provincially funded program, helps students aged 15 to 29 start and grow their own businesses. Halton Region’s Small Business Centre coordinates the Summer Company program in Halton for the Ministry of Economic Development, Trade and Employment and delivers it with the help of volunteer business advisors from the community. The program aims to support students interested in entrepreneurship as a possible career goal. Participating students receive cash awards of up to $3,000 – an upfront award of up to $1,500 to put toward start-up costs and up to $1,500 upon successful completion of the program. This year’s participants were selected from numerous applicants from the Halton area. Their businesses include everything from funnel cakes, art, photography, cards and graphics to kid’s camps, swimming lessons, healthy snacks, web design and imports from Morocco. Entrepreneurship creates jobs and helps our economy grow. Young entrepreneurs play a key role in ensuring our economy continues to prosper. Summer Company gives participants a chance to start their businesses off on the right foot, with business coaching, training and mentoring to help them along the way. Congratulations to these enterprising young people! For further information visit www.halton.ca/summercompany or find them on Facebook. 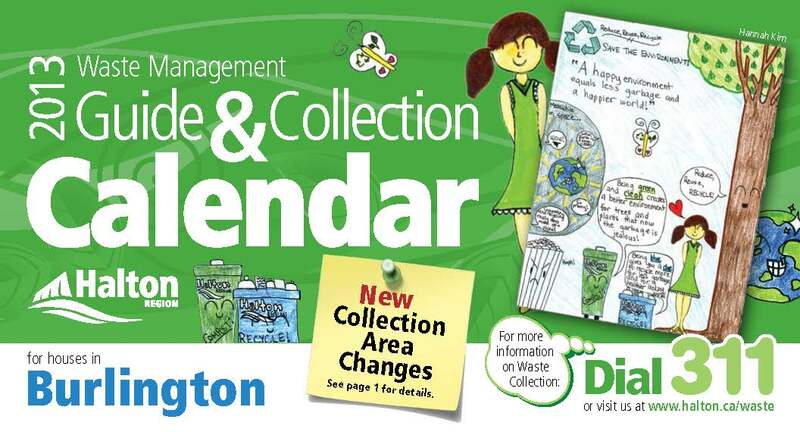 The 2013 Waste Management Guide and Collection Calendar, which has everything you need to know about waste collection in Halton Region, will be delivered to homes starting this week. 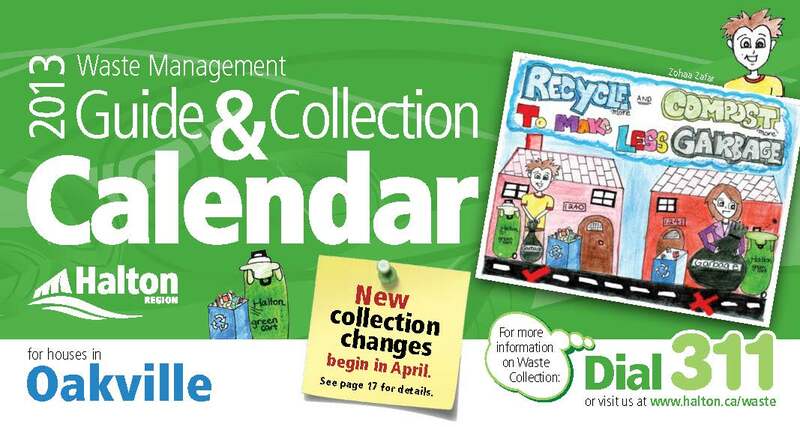 The Calendar is effective February 1 and includes a schedule for Blue Box, GreenCart, garbage, bulk and yard waste collection, information on the Halton Waste Management Site and details about upcoming waste collection changes that begin April 1, 2013. 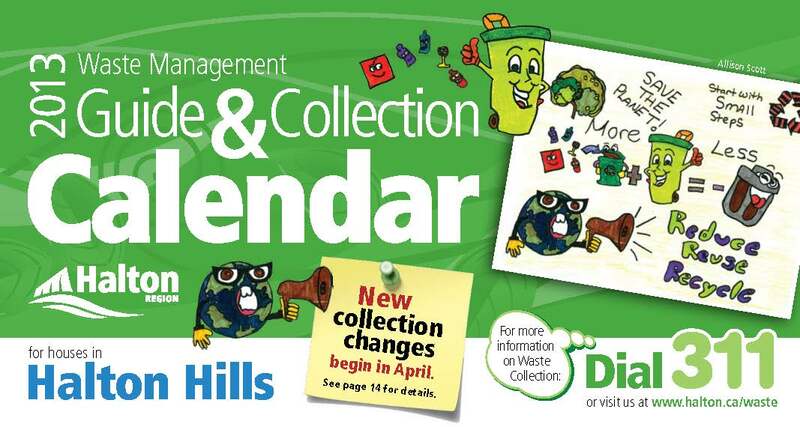 Residents can also view their Waste Collection Calendar online at www.halton.ca/waste. Review the calendar to learn more about all of the upcoming waste collection changes to assist in increasing our diversion rate to 65% which will extend the life of Halton’s valuable landfill site and result in long-term savings of $15 million to future taxpayers.If you have not received your 2013 Waste Collection Calendar by January 28, please contact Access Halton by dialling 311 or use the online Service Request Tool at www.halton.ca/wastetools. 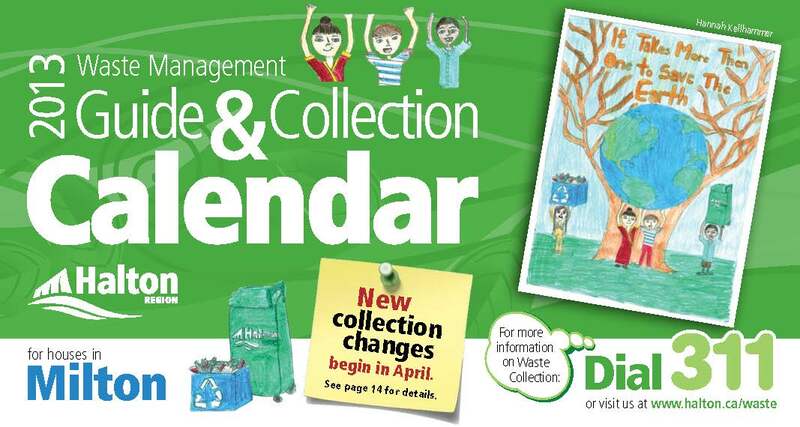 The 2013 Waste Management Guide and Collection Calendar once again features Halton’s talented young artists who were selected as the Calendar Cover Art Contest winners. This year marked the fifth annual art contest that ran in the fall of 2012 asking children from kindergarten to grade eight to create the 2013 calendar cover using the theme of “recycle and compost more to make less garbage.” One entry from each of the four Local Municipalities was selected to have their creative design featured on the 2013 calendar cover. Winners include Hannah Kim from Burlington, Allison Scott from Halton Hills, Hannah Kellhammer from Milton and Zohaa Zafar from Oakville. For more information please contact Access Halton by dialing 311 or 905-825-6000, toll free 1-866-442-5866, TTY 905-827-9833 or visit www.halton.ca. You can also follow Halton Waste Management on Twitter @HaltonRecycles, on Pinterest, visit their blog at www.haltonrecycles.ca and watch HaltonRecycles on YouTube. Youth can make a difference! Craig Kielburger addresses the audience at the Be a Hero awards ceremony. Several talented Halton youth were recognized at an awards ceremony recently for our annual Be a Hero contest. 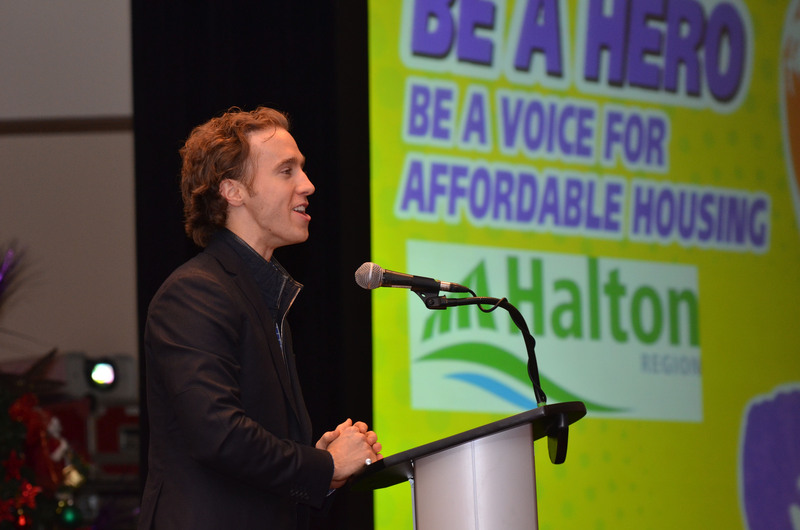 The awards ceremony for Be a Hero was held on November 21, 2012 and included Craig Kielburger, co-founder of Free The Children and Me to We. Craig‘s message that “one youth can make a world of difference” nicely complemented the impressive contest submissions that were displayed around the room. In Halton, our youth are making a difference and their contest submissions demonstrated they understood the importance of affordable housing and how it impacts people in our community. In Halton, like many other communities in Ontario and Canada, we are building affordable housing units to ensure that individuals and families have access to safe and stable homes. A healthy community requires a range of housing options that meet the needs of all incomes and stages of life. Youth, single adults, families, seniors, people with disabilities and recent immigrants all face challenges finding housing they can afford. The needs can be hard to see but they do exist. Housing is a complex issue that requires the support and involvement of government, the non-profit sector, the private sector and people in our community. I congratulate all the contest participants for helping to raise awareness about the importance of affordable housing in Halton. Halton Region is committed through the Citizens’ Priorities – Halton Region’s 2011-2014 Action Plan to providing housing supports to address the needs of low income residents in Halton. To learn more about this and Halton Region’s Comprehensive Housing Strategy visit www.halton.ca. To view my video blog about affordable and assisted housing, visit www.halton.ca/housingvideo. YouTube videos submitted to this year’s contest are posted on the Be a Hero YouTube channel which can be accessed through www.halton.ca/beahero. Conservation Halton and Halton Region will be co-hosting the seventh annual Halton Children’s Water Festival (HCWF) from September 25 to 28, 2012 for students in grades two to five. 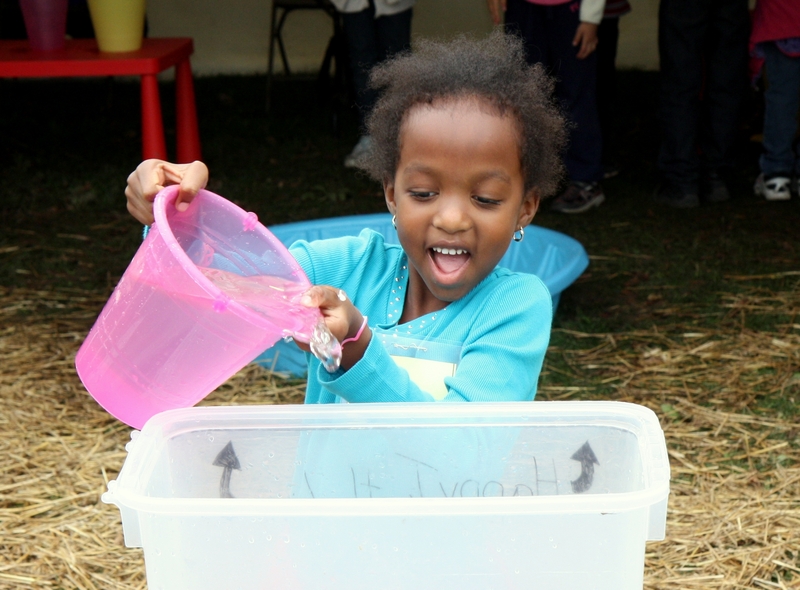 The festi val educates children about water, one of the world’s most precious resources, and is once again being held outdoors at the picturesque Kelso Conservation Area in Milton. The Festival has grown every year since it began in 2006. Grade two students were added in 2007, and the Festival expanded from three to four days in 2008. Attendance has also risen from 3,000 students in 2006 to more than 4,000 students expected in 2012. After this year’s Festival, approximately 25,000 elementary school students will have had the opportunity to become environmental stewards while learning about water and the value of protecting and preserving it. The Festival is co-hosted by Conservation Halton and Halton Region in partnership with the Halton District School Board, the Halton Catholic District School Board, The City of Burlington, The Town of Halton Hills, The Town of Milton and The Town of Oakville. This year, I once again have the pleasure of serving as one of the Festival’s Honorary Co-Chairs along with Conservation Halton Chairman John Vice. The Festival is a community partnership that depends on over 150 volunteers each day to assist with various activities. Each year, Halton high school students, staff from partner organizations and community volunteers all generously offer their time, while gaining experience with community outreach, public speaking, teaching, and time management. The Festival also relies on in-kind and monetary support from organizations in the Halton community in order to make the festival easily accessible for Halton’s students. For more information on this year’s supporters visit www.hcwf.ca/supporterslist.htm. The Festival is offered to Halton schools at a cost of $5 per child, which includes a full day at the Festival as well as transportation to and from the event. To learn more about the Halton Children’s Water Festival, please visit www.hcwf.ca.